Butser Ancient Farm interpretive staff will guide you through the many layers of this ancient landscape. We’ll see where Bronze Age people buried their dead, where the Romans chose to live and farm, and where the Saxons built their villages – all long-gone, yet accessible to us through subtle reinterpretations of the landscape. 5 miles, medium difficulty. 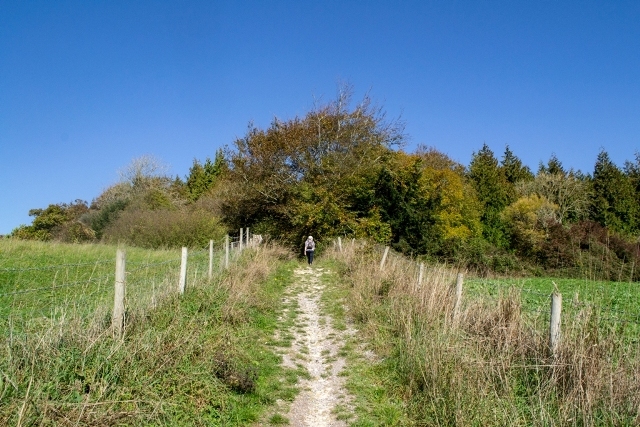 10.30 am – Meet at Butser Ancient Farm and set off on the circular walk. 12.30pm (ish!) – Return to Butser Ancient Farm where you can spend the rest of the day exploring the ancient buildings of the farm. This is one of a series of guided walks throughout 2019 exploring the landscape around Butser Ancient Farm, led by Butser staff. Walkers should be prepared for changing weather conditions, carry water, snacks and sunscreen, and tell the walk leader of any special medical requirements. The walks include hills and stiles, and may be some distance from roads. These walks may be too demanding for children but dogs on leads are welcome. Ticket price includes entry to Butser Ancient Farm and a hot drink from the café.